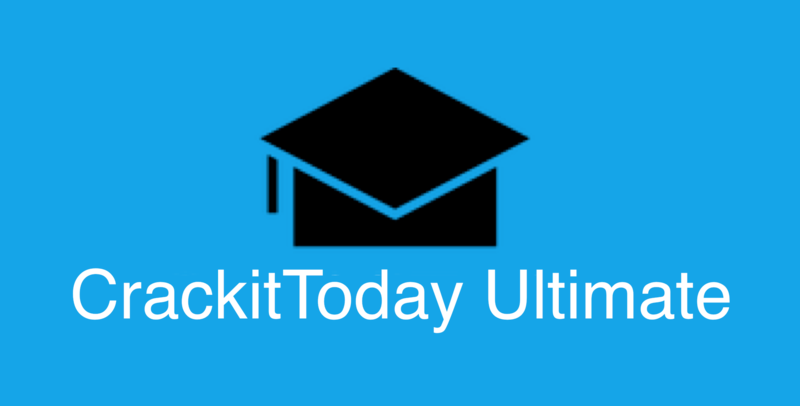 CrackitToday provides an unconventional test series for UPSC IAS Prelims 2019 where we provide more than 500 questions a month for you to practice. We have divided these tests into different sections (Daily Quiz, Subject Tests, Full-Length Tests) so that you can work on different aspects to strengthen your practice. All you need to do is install our Android app to get started. For the convenience of aspirants, we are sharing a PDF file of our Demo Mock Test (in English) for Prelims 2019. This will help you to practice the questions and will also show the quality of questions we post in the app. Test Paper is divided into two files, One is the test paper itself and other is a detailed explanation of each and every question. You can download the PDF file of the Full Length Comprehensive Test paper with explanations from the link below. Make sure you check out our Android app so that you can attempt other questions there and compare your ranking in Test Series with other Aspirants.